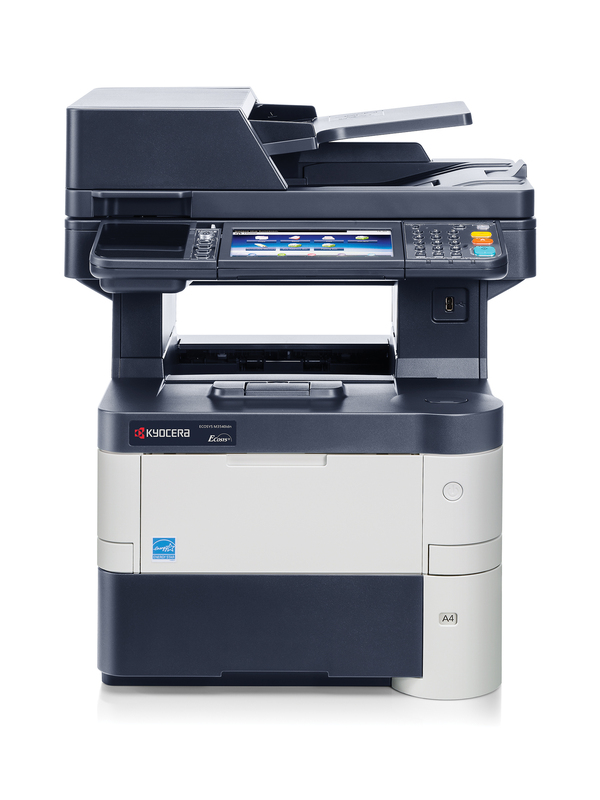 The ECOSYS M3540idn provides small to mid-sized businesses with powerful document imaging capabilities. It offers the standard features you expect, including 42 ppm crisp black and white printing, copying, fax and color scanning, but its capabilities extend far beyond that. A 7" color touch screen control panel redefines job efficiency by storing your routine tasks. It also streamlines access to business applications that bring added capabilities to your document workflows. Optional wireless and standard mobile printing and scanning capabilities enable access wherever your business takes you. As importantly, ECOSYS long life consumables and an impressive drum yield deliver the economical and ecological solution making this device the smart choice for your business.